Manchester United are closing in on a €40 million (£35m) deal for Benfica forward Anderson Talisca, according to reports in Portugal. The Brazilian attacker is currently spending the second of a two-season loan deal with reigning Turkish Super Lig champions Besiktas. 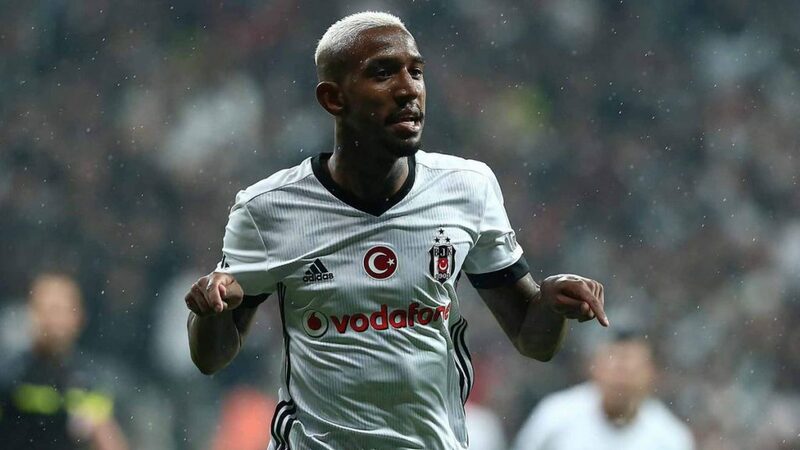 Talisca has scored 10 goals in 24 league appearances for the Turkish giants this season as well as four in seven Champions League games and two goals in his five Turkish Cup matches, playing in an attacking midfield role. Portuguese newspaper A Bola‘s headline story today is that we are closing in on a deal for the Brazilian under-23 international. The report claims that we are keen on making a €40 million move for the player. Talisca has led the line for Benfica previously before switching back to his more normal attacking midfield role. He scored 17 goals in 33 games in all competitions for Besiktas last season. We were previously linked with a move for the Besiktas loanee last summer but nothing materialised. Anderson Talisca has been a regular goalscorer in Portugal and Turkey. He is strong and can hold up the ball to bring teammates into play as well as having a powerful shot on him. How reliable this report is remains to be seen but we’ll bring you any further development from other sources if we get any other the coming days, weeks or months.